Firstly I would like to take this opportunity to thank you for all those mails pertaining to the new book. Though I have received few very good Poems, I have short listed six poets as of now. I have also got contribution from one English poet too. So I will wait and continue hunting for 4 more poets to complete the collection which I will do soon. As a part of Amazon promotion the below book can be downloaded free today. Let me know if you like the read. Now for the most important task. 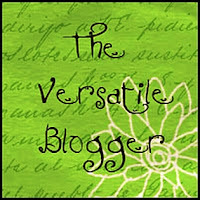 I have been awarded the Versatile Blogger Award by Saher who has a fantastic Blog - http://life-stance.blogspot.in/2012/05/my-first-ever-blog-award.html. Thank you so much for this kind gesture, Saher .I am new to blogging and I am elated . This ould definitely put me in position where I need to deliver my best now. Post a picture of the award on your blog. Share 7 random thoughts about yourself. Choose bloggers to pass the award to. 1. I love Reading and cannot remain away from a book for too long. 2. I have a habit of carrying a book everywhere I go. Thank You Bro for your encouragement..yet again. Congratulations Shamsud, good to know about you. Thanks a ton for the award. As I always say, feels great to be appreciated by a great poet like you. Congratulations Shamsud....and I really feels grt that you like my blog...thank you so much for the award. Thank you so much Shamsud.Pls chk your mail. Congrats Shams! and thanks a lot for passing it on to me! congrats shamsood ! and thanks for passing it on to me !